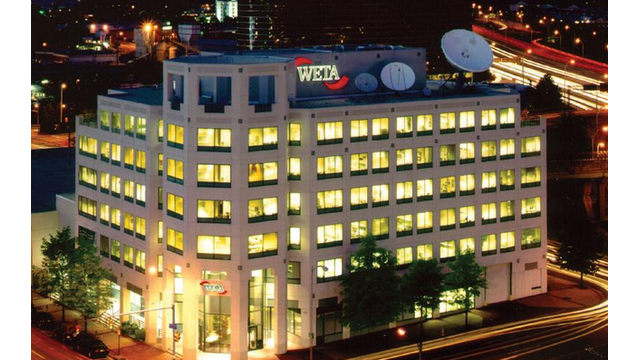 The tour of WETA’s facilities in Shirlington, VA gave the PBS interns a chance to see how a local station functioned, as opposed to the daily operations we witness at the national office. A lot of us were able to connect how our daily work affected the local level which added to the overall learning experience of our internship. We used the hashtag#internsatWETA to live tweet the experience, so here's a glimpse of the fun day. The first stop was the production facility where we got to see the Newshour control room. We then got a chance to sit behind the reporter desk in the Newshour studio. Afterwards, we took a break from the tour to have a Q&A session with PBS Newshour senior correspondent, Gwen Ifill, who advised us to take risks in order to propel our careers. She even managed to answer a few rapid fire questions with the utmost poise! During the second half of the tour, we learned about WETA UK and how WETA produces radio shows as well. We were very satisfied with our tour, and even received a parting gift from the station. We learned so much from our tour of WETA and met some amazing people! We truly enjoyed being a part of #LocalPBSLife for a day! Joche is the one of the marketing and communications interns with the PBS Digital SPI Team who manages many of the social media accounts. She is a rising sophomore at University of Maryland, where she studies marketing. When Joche is not tweeting, pinning, or blogging, she spends a lot of her time window shopping, catching up with shows On Demand, or jamming out to the radio.